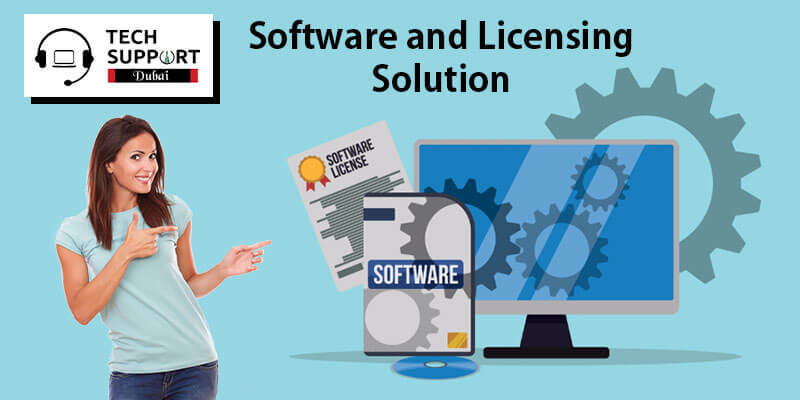 Software licensing is referred as an agreement between the user, and the owner of a software programmer who gives you the right you to do certain things on that would do only with his permission otherwise it will be an infringement of copyright law. We offer secure digital downloads, whole license key generation, checking system and activation. If you are selling Word Press plug-in, themes or any other software that might include a video game, other applications, the Software Licensing add-on will become a huge asset for you that also helps to take your business to the next level. We offer software, hardware, and Networking Solutions which caters the need of the SMEs to Enterprise levels. It is crucial for any enterprise to make their business future-proof, CIOs and IT heads today are continually trying to ensure that Enterprise applications deliver business values with minimum change. Tech Support Dubai offers a broad range of customized software applications that are powered by real technology and industry expertise. We have implemented solutions in various industries, across large enterprises to startups supplementing them with our CMMi certification. Our frameworks are based on contemporary technologies that provide hassle-free solution development to your business problem backed up by the industry-best post-implementation support and regular updates and upgrades to keep you ahead of the competition. So, if you are searching for software support or software licensing we are a perfect choice for you.